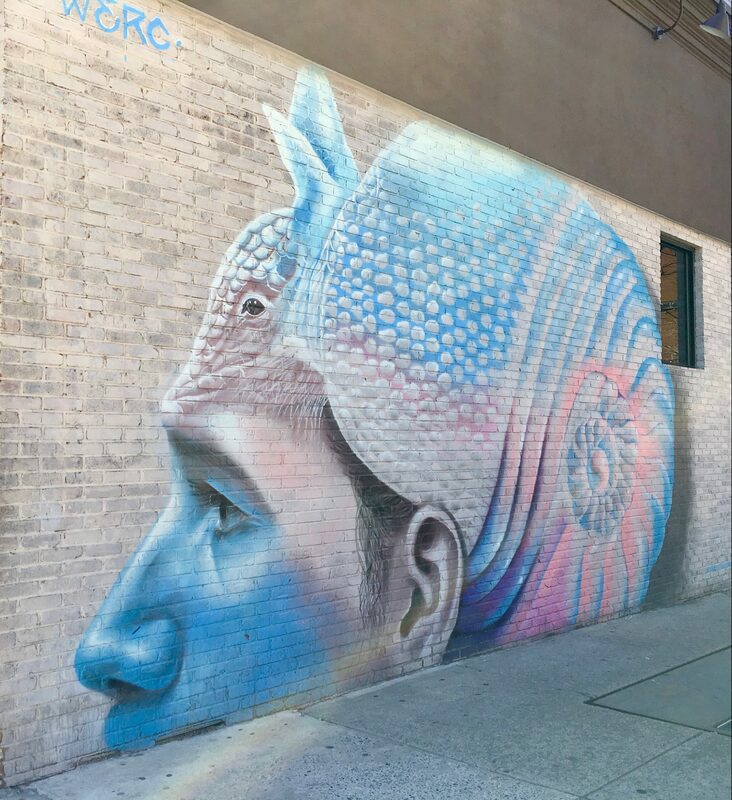 When Pantone teamed up with Instagram to promote their 2016 Color of the Year (which, in that year, was actually two colors: Rose Quartz and Serenity), they chose muralist WERC (@W3RC) to represent NYC with this depiction of a man wearing an Armadillo as a Helmet, or something like that. Read the full story behind this mural, and the global ad campaign of which it was a part, This Link. 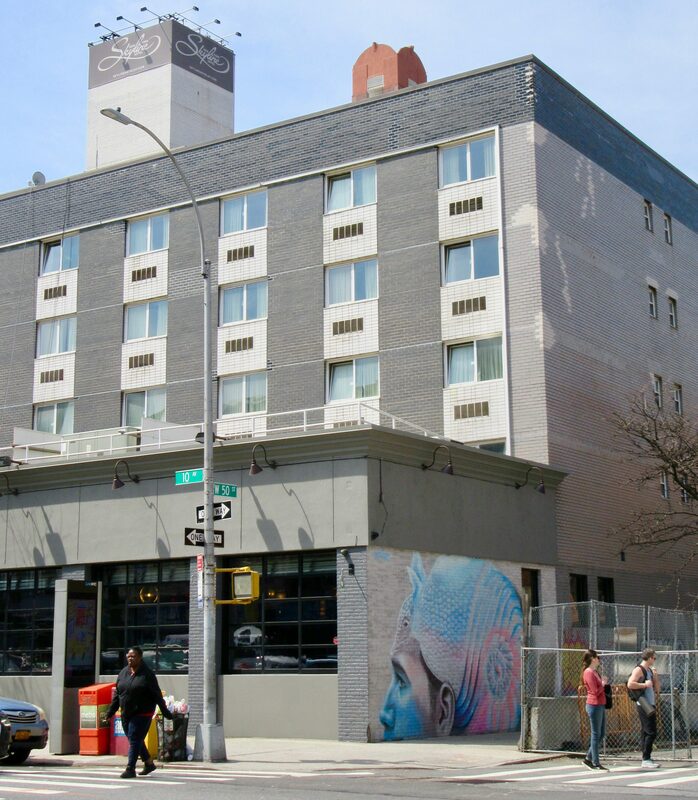 Photographed at the Southwest Corner of 10th Avenue and 50th Street in Hell’s Kitchen NYC. 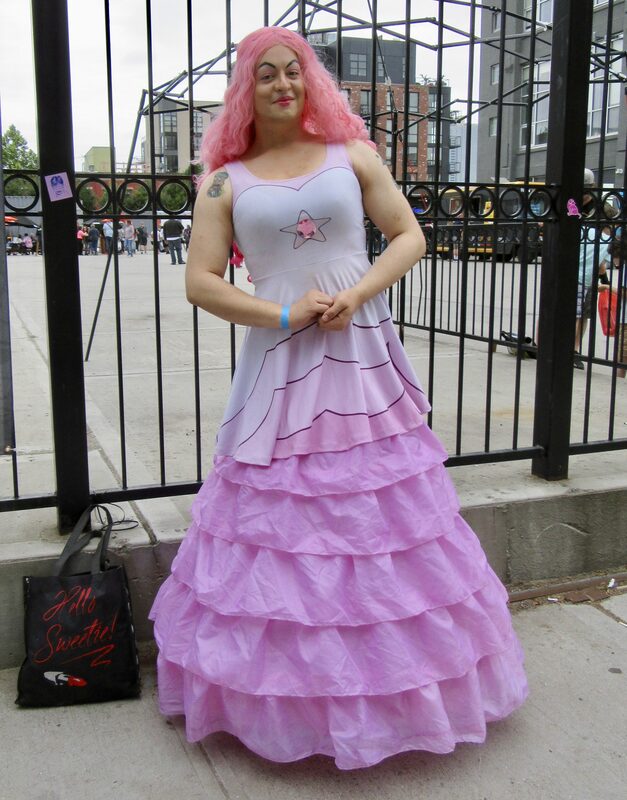 Pink Thing of The Day: Rose Quartz Cosplayer From Steven Universe! 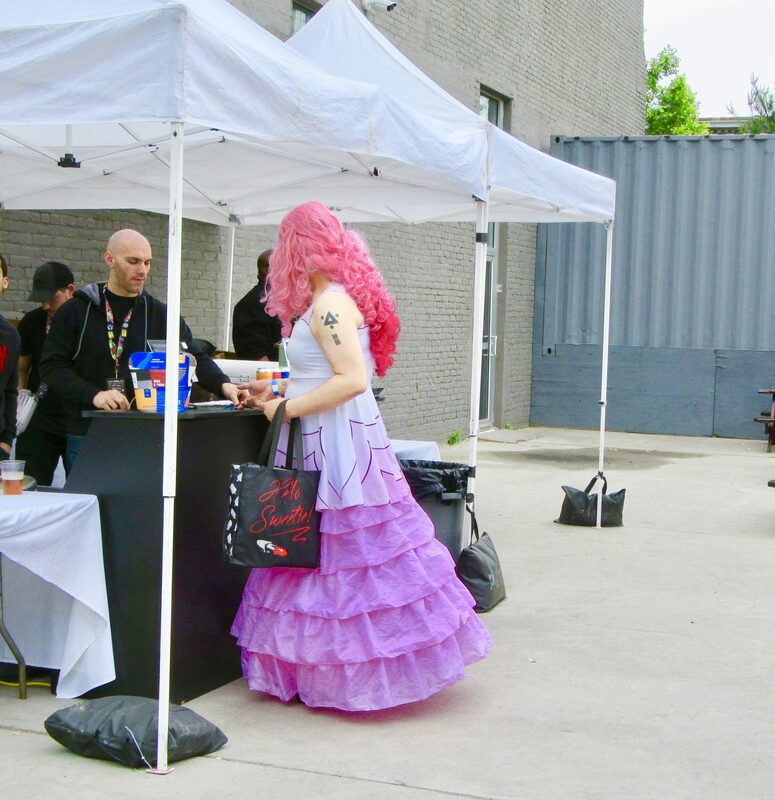 Five Points Fest did not really have a ton of cosplayers running around, at least not on the day I attended, but this dedicated fan of the animated TV show Steven Universe definitely stopped me in my tracks, dressed as they were as the likeness of Rose Quartz, a character from that show. Oh, the Pinkness. Here’s what Rose Quatrz‘ character looks like on the show, so you can see they did a bang up job replicating her costume! 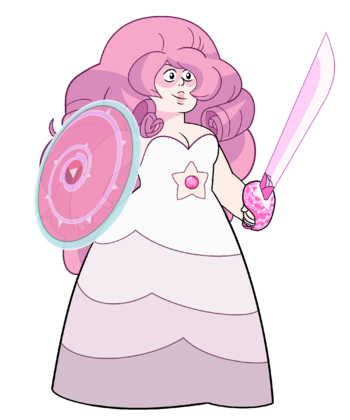 You can read more about Rose Quartz on her fan-created Wiki Page! Rose Quartz Cosplayer Spy Pic! 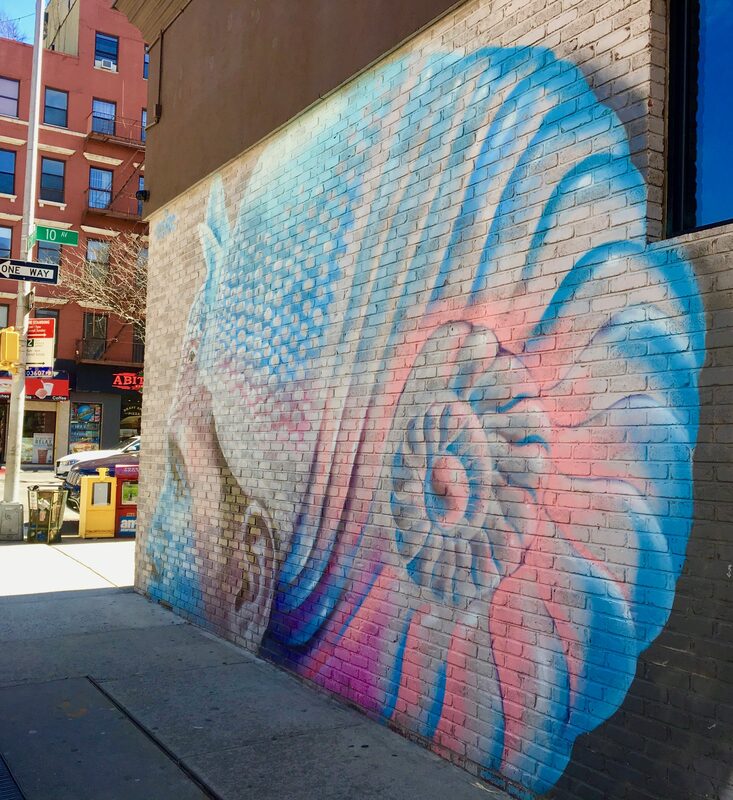 Favorite Art From The Affordable Art Fair, Spring 2019! Pink Thing of The Day: Piglet Made Of Flowers!